On Saturday, September 27, Central Park played host to a crowd of 60,000 and a number of superstar performers in honor of the 2014 Global Citizen Festival. The annual charity concert is aimed at raising awareness of extreme world poverty and having it come to an end by by 2030. Tickets were free for attendees who had taken action this year, whether it was signing petitions or contacting government leaders. Hosted by celebrities including Jessica Alba, Adrian Grenier, Olivia Wilde, and Hugh Jackman, the event was filled with both powerful words and powerful music. No Doubt, Carrie Underwood, Tiesto, The Roots, and Jay-Z all took to the stage, but the night's biggest moment undoubtedly came when Queen Bey herself made a surprise appearance alongside her hubby. 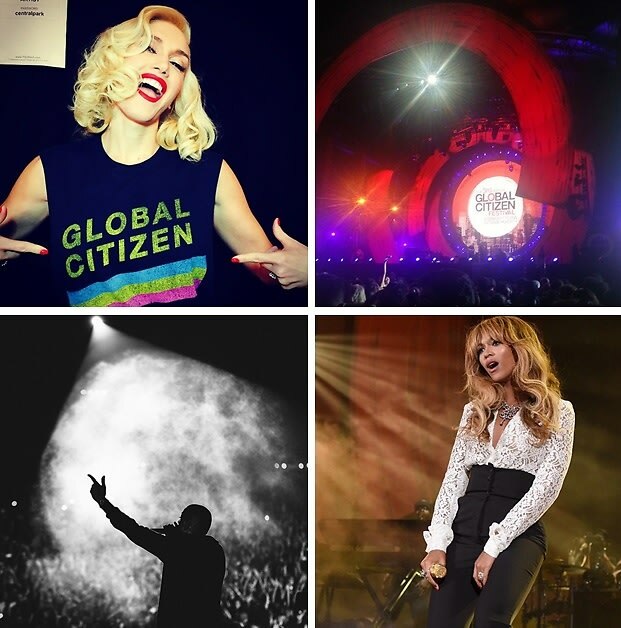 Click through for an Insta-worthy look at the 2014 Global Citizen Festival!